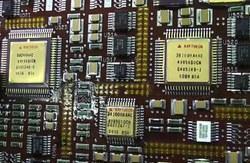 With the support and assistance of our professionals, we are involved in rendering reliable PCB Repair services. 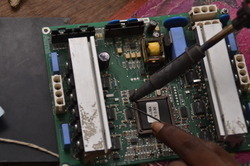 We provide Board Repair, PCB board repairs, PCB repair services, electronics PCB service, industrial board repair and medical PCB repair services. We have installed latest machines and tools at our premises, to ensure that the repairing services provided us are reliable and executed on time. Our trained technical team provides complete consultancy related to the product. Star automations provide complete solutions for the support and maintenance of high value Electronic Printed Circuit Boards (PCBs) and modules. Industrial machinery boards repair, offshore equipment pcb repair, Telecommunication Equipment pcb Repair ,commercial equipment pcb repair HVAC device, BMS repair, automatic boom barriers repair, Automatic Vehicle Classifier and Highway Sign Boards repair. We represent many manufacturers for their equipment. We are proud to have earned the distinction of being a Indian Representative/ Factory Authorized Repair Centre and warranty management. Star Automation is a Global service Provider/partner for Industrial Electronics, power plant ,Telecom and medical PCB Repair, Refurbishments & Maintenance in the ability to repair virtually any electronic equipments or Printed Circuit Board (PCB)with an experience of 15 years. Star Automation specializes in repair,remanufacturing obsolete circuit , BGA rework, Test and Inspection of electronic circuit boards and assemblies With Automatic Test Equipment and complete Lab facility and RoHS compliant PCB repair service. AC and DC Drive , Servo Drive, Servo Pack,PCB Module, Processor Board, I/O Card,IO Modules, CNC Machine Control card, PLC, LCD, HMI, HVAC, Building Automation System,Power plant modules,Brown Boveri surplus parts ,BBC cards ,Honeywell dcs modules,AMETEK Power Supply and SMPS, DDC control ,HVAC equipment , Building management system, BMS,EMS,Hotel guest managementcontrol system, Fire and safety control equipment, Hospital equipment, Motive Power, Equipment ,Inverter Welding machine ,robot, Plasma cutting, ,PLC's, Yokogawa module,Temperature Controllers, Counters, Logic boards ,PLC CPU Module,Test & measurements and many other specialized electronic boards too numerous to list. Military grade PCB repair facility. 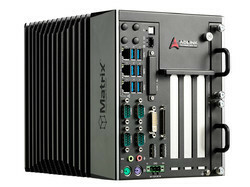 Star Automation is a Global service Provider/partner for Military/Defense level PCBs and Industrial , Plant Electronics,IT, Telecom and medical PCB Repair, Refurbishments & Maintenance in the ability to repair virtually any electronic equipments or Printed Circuit Board (PCB) with an experience of 15 years. We are strategic equipment Obsolete Parts Sourcing & suppliers and Upgrade of Obsolete Electronics and Legacy Product re-engineering. Star Automation specializes in repair, rework, BGA rework, Test and Inspection of electronic circuit boards and assemblies With Automatic Test Equipment and complete Repair Lab facility and RoHS compliant PCB repair service. 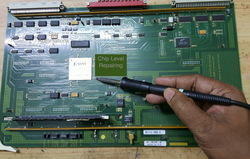 We can able all OEM, Non-Warranty, Upgrades and Obsolete repairs, Reverse engineering for a wide range of items. 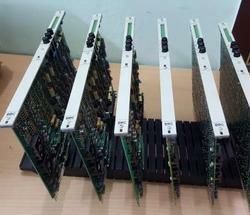 All Types Of Defense level PCBA Repairs & Refurbishments Facility. Star Automation specializes in repair, rework, BGA reworks, Printer, Test and Inspection of electronic circuit boards and assemblies With Automatic Test Equipment and complete Lab facility and RoHS compliant PCB repair service. AC and DC Drive, Servo Drive, Servo Pack, Processor Board, I/O Card, Network card, Optical fiber card, Mother boards, CNC Machine Control card, PLC, LCD, HMI, HVAC, Building Automation System, Power Supply and SMPS, Inverter Welding machine (MIG/ITG), Plasma cutting, PLC’s, Temperature Controllers, Counters, Logic boards ,Test & measurements and many other specialized electronic boards too numerous to list. Packaging Details: 1) Safe Packing. 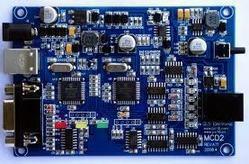 Owing to expertise and in-depth industry in the market, we are involved PCBA Board Repair services. These services are provided by our trained team of professionals that help us cater to the requirements of electronics, IT, telecom sectors across the globe. 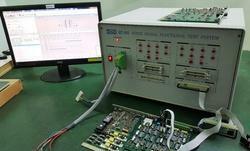 Our expertise lies in providing rework, BGA network, test and inspection of electronic circuit boards and assemblies. 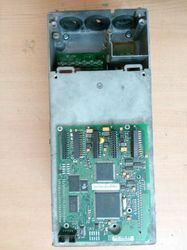 All important brands can be repaired by us like AC and DC Drive, Servo Drive, Servo Pack, Processor Board, I/O Card, CNC Machine Control card and PLC. 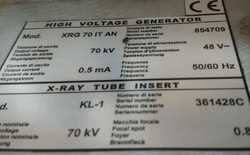 we are providing all types of industrial High voltage power supply ,X-ray circuit board repairs & refurbishment services. discontinued parts or Obsolete military equipment that can be Repair or refurbished at minimal cost. Service provider of Cybelec CNC controller ( Cybtouch )Cybmotion mtors ( Infranor group) Cybelec servo motor (Infranor ) ,Cybelec ac brushless, and Azimuth Controller ,matel forming machinery repair. 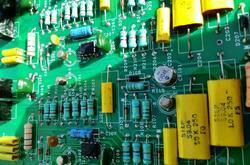 PCB design, layout or modification of an existing PCB design . 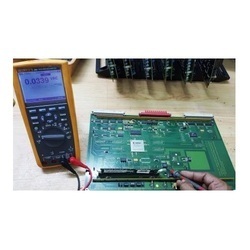 Star Automation is a Global service Provider/partner for Industrial Electronics ,Drilling , Telecom ,Marine , offshore and medical PCB Repair, Refurbishments & Maintenance in the ability to repair virtually any electronic equipments or Printed Circuit Board (PCB)with an experience of 15 years. Star Automation specializes in repair, rework,reverse engineering , BGA rework, Test and Inspection of electronic circuit boards and assemblies With Automatic Test Equipment and complete Lab facility and RoHS compliant PCB repair service. AC and DC Drive ,VFD , Servo Drive, Servo Pack, servo amplifiers ,Processor Board, I/O Card, CNC Machine Control card, PLC, DCS modules ,LCD, HMI, HVAC, Building Automation System, Power Supply and SMPS, Inverter Welding machine, Thyristor Power Controller Assemblies,PWM modules,thyristor controllers, Hill Graham and Ross Hill ,Cognex Machine Vision & Industrial Barcode Readers ,Plasma cutting, Temperature Controllers, Counters, Logic boards ,Test & measurements and many other specialized electronic boards too numerous to list. 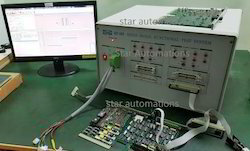 Star Automations is one of the leading national players in the Industrial Electronic Repair, service & Maintenance in the ability to repair virtually any electronic equipments or Printed Circuit Board with an experience of 15 years. We can service all OEM, Non-Warranty, Upgrades and obsolete repairs, for a wide range of items. We perform Specialize Service in wide range of Industrial Automation System, CNC system, PLC, HMI, AC Drive, Servo Drives, servo motor, servo spindle dive, Motion controller, Power supply, sensors, logic board, Medical equipments and communication devices. We are offering service for PLC programming, HMI programming, scada, DCS programming, servo programming service and Automation integration. We Have dedicated Servo Motor Repair facility. We have expertise to repair all types and makes of servo motors including DC and AC servo motors, spindle and stepper motors. We work on AC servo, DC brushless, and DC brushed servo motors along with spindle motors and most types of feedback devices. star automations provides complete solutions for the support and maintenance of high valueelectronic Printed Circuit Boards (PCBs) and modules. We are an electronic engineering company specializing in Chip level servicing (component level) and Reverse Engineering of Electronic Products and obsolescence solutions. 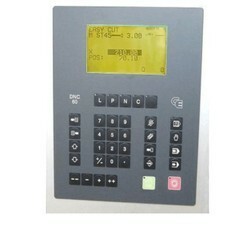 Design and research & development, production, sales and service of electric energy measuring meter. Indigenization / Modifications of existing systemManufacturing ServicesTechnical Consultancy. Our major Support countries are: USA(United States), UAE (United Arab Emirates), UK, Saudi Arabia, Malaysia, Sri Lanka, Australia, Argentina ,Austria , Bangladesh ,Belgium ,Bahrain ,Brazil, Bhutan ,Belize ,Canada , Switzerland, Cameroon , China, Colombia, Germany ,Denmark , Egypt, Finland, France ,Greenland, Hong Kong , Hungary , Greece , Indonesia, Ireland , Israel ,Iceland , Italy , Jamaica ,Jordan , Japan, Kenya , South Korea , Kuwait , Sri Lanka, Morocco ,Mauritius ,Maldives ,Mexico, Malaysia, Netherlands, Norway, Nepal , New Zealand, Oman, Philippines, Portugal ,Poland, Qatar, Russia, Saudi Arabia, Singapore, Thailand, Turkey, Taiwan, Tanzania, Ukraine, United Kingdom ,South Africa, Vietnam ,Zambia and Zimbabwe. Please call or email to get more information about our capabilities.